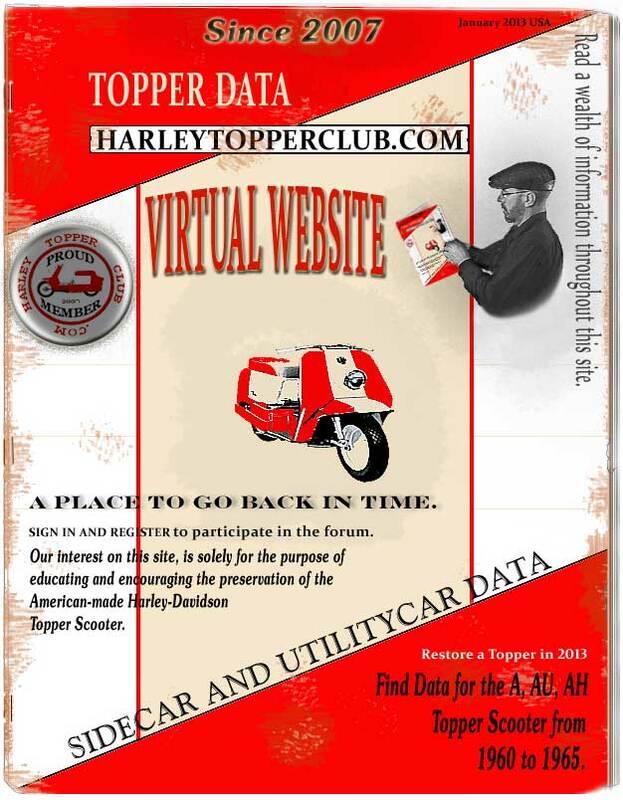 Virtual website and forum for the Harley Topper motor scooter. Find Harley Topper data , Vintage photos , Old ads , Spec sheets , Topper Trader forum. to use format in an educational environment. The 50th Anniversary of the Harley Topper was in 2010.